Thomas A. Dooley Award – Father James Martin S.J. The individuals will be recognized at a dinner and ceremony on the Notre Dame campus on Saturday March 30th starting at 6:30pm. Registration is now closed. 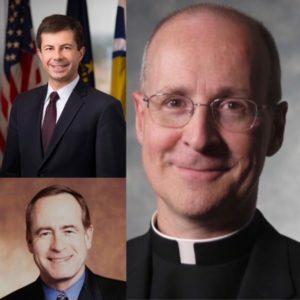 Go to: 2019 LGBTQ Awards Dinner. 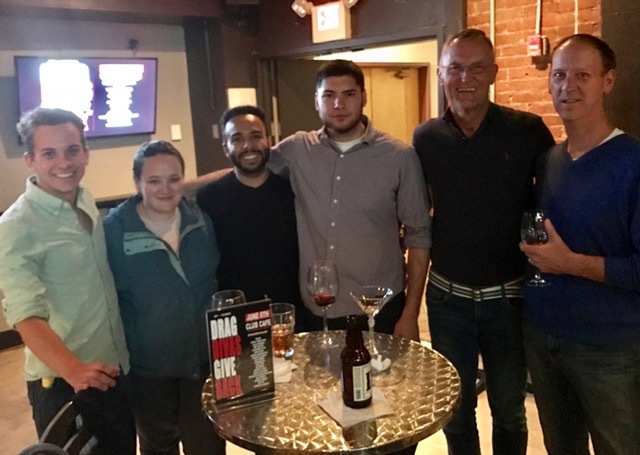 The award ceremony is just part of the overall LGBTQ Leadership Award Weekend Celebration taking place Friday March 29th through Sunday March 31st. 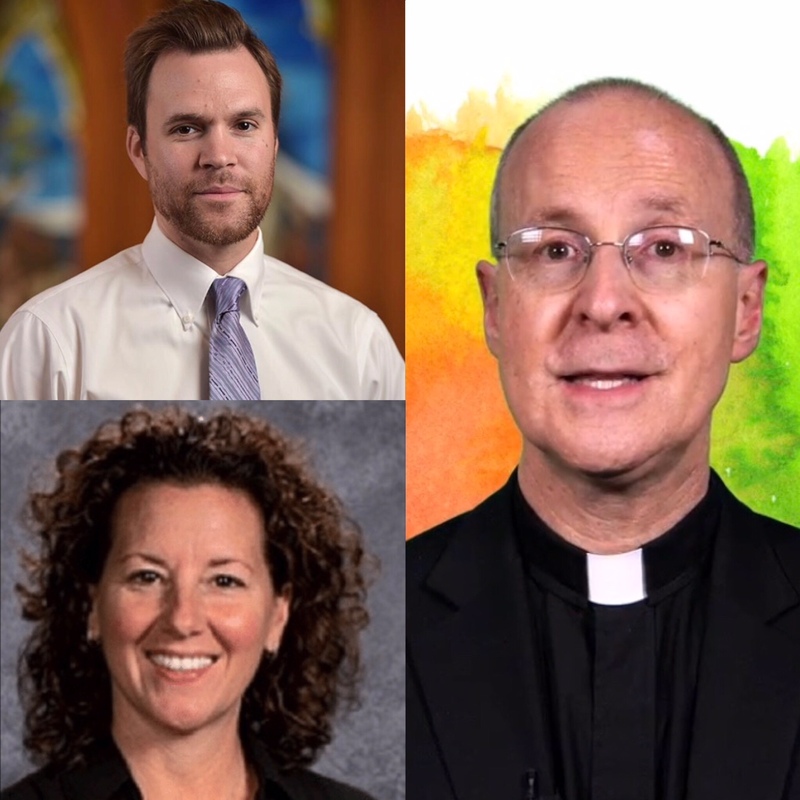 Every two years GALA ND/SMC recognizes individuals who have made contributions to the LGBTQ community. 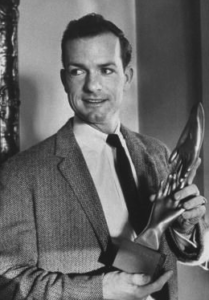 Planning is now underway to announce the 2019 Thomas Dooley Award and LGBT Leadership Award recipients during a weekend in South Bend in Spring ’19. The weekend will include the awards ceremony and an academic panel related to the award recipient’s work. Stay tuned for the “Save-The-Date” announcement! 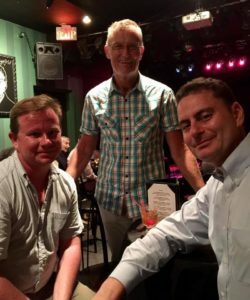 Fourth Annual NYC LGBT Student Scholarship Benefit – November 18, 2018 – Save The Date! 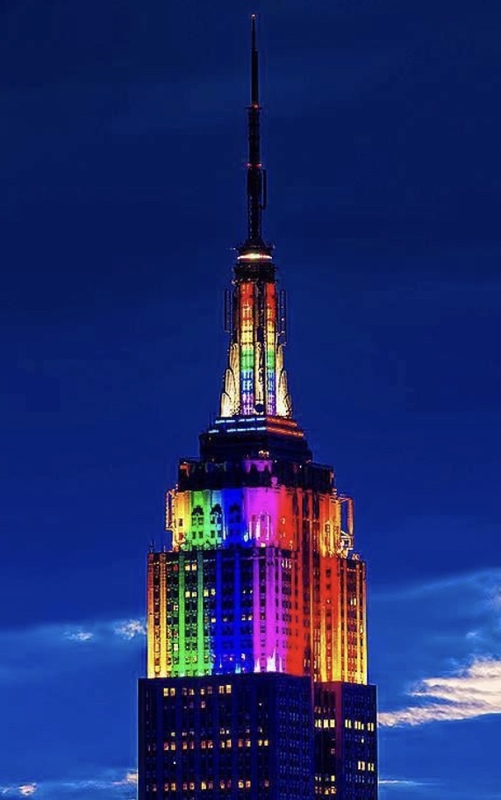 GALA ND/SMC, is pleased to announce the Fourth Annual NYC LGBT Student Scholarship Benefit to take place on Sunday November 18, 2018 at 4:00pm. The benefit will be hosted once again by Phil Donahue ’57 and his wife Marlo Thomas’ at their beautiful apartment overlooking Central Park. Join fellow alumni and friends for cocktails, hors d’oeuvres, and camaraderie to raise money for the LGBT Student Scholarship Fund. 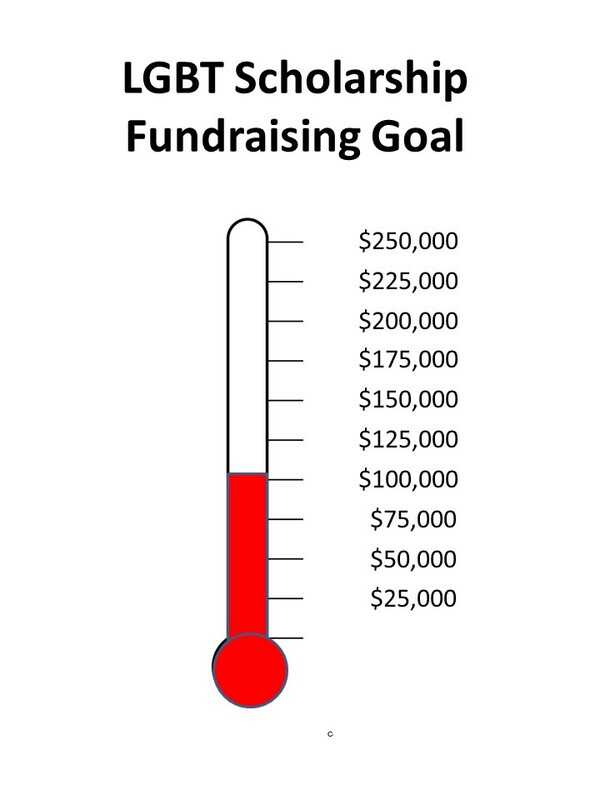 Since the fund’s inception, members & friends have contributed over $115,000 of the $250,000 target. Our goal for this year’s event is $50,000. The featured guest will be 2018/2019 Scholarship Recipient Tim Jacklich ND ’20. The weekend coincides with the Shamrock Series game being played at Yankee Stadium on Saturday November 17th. Come to NYC for the weekend and join us in raising money for the scholarship fund! For more info go to 2018 Scholarship Benefit. 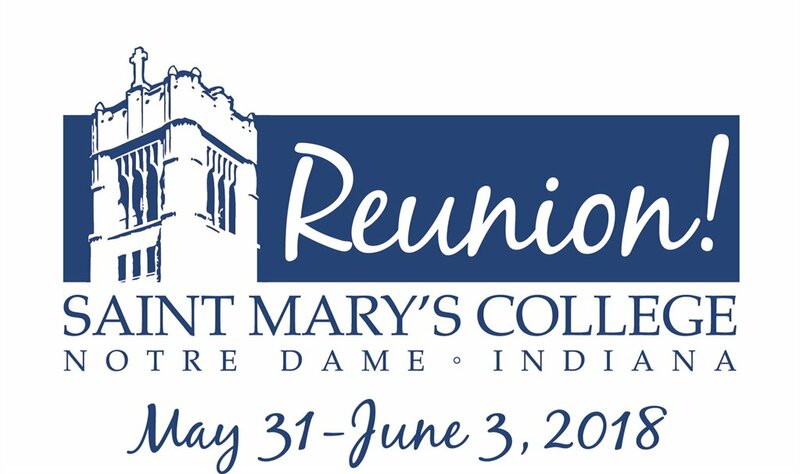 On Saturday, June 2nd, join Saint Mary’s alums for SMC’s Reunion 2018 LGBTQ alumnae panel and group discussion 3:30-4:30pm in Spes Unica room 145. The event will be livestreamed at GALA ND/SMC’s Facebook group, so join virtually if you can’t be there in person. In addition to the panel discussion, those gathered will talk more about the new Saint Mary’s-focused group, SMC LGBTQ Alumnae and Allies. The event will be held on Saturday June 2nd at 9:00am in DeBartolo, room # 126. All alumni & friends are welcome! 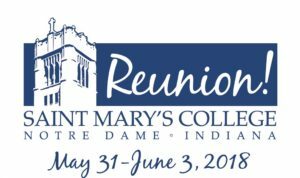 To see the event info on the ND Alumni Reunion Seminar Website, go here. I n its 5th year, Notre Dame Day is a chance for our LGBT Alumni community to celebrate and give back to what we love at the University. Give a gift of $10 or more and receive 5 votes to distribute. We encourage you to donate and vote for PrismND, the LGBT student group. Help them raise funds for programming and for a portion of the $1.1M matching funds!!! 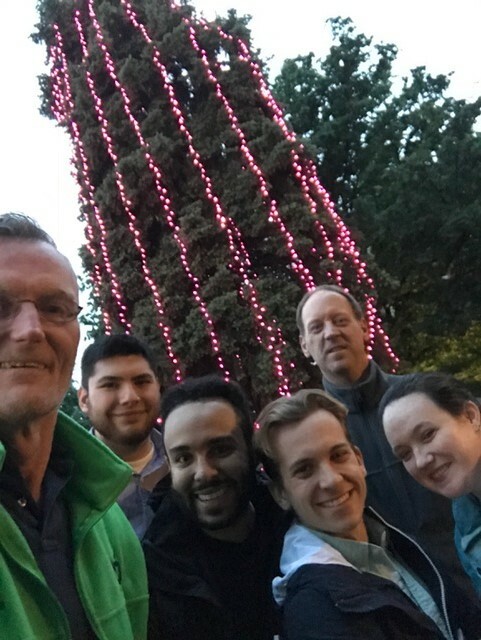 Update: Through the generous contributions of our alumni community and others, PrismND was able to raise ~$2,000 in direct contributions & $5,000 in matching funds!!!! GALA will be holding an Alumni Social on Sunday March 11th to bring together DC Area Alums & Friends. This will be a casual get-together of light appetizers and drinks. The event is hosted by Bob Davidson ’76 at his beautiful home in Chevy Chase MD. Come and join other alums to catch up and talk about future events and activities in the area. The event will start at 3:00pm and run until 6:00pm. Bob’s home is located at 4308 Stanford St, Chevy Chase MD, 20815. There is plenty of on-street parking and is a short walk from the local Metro stop (Bethesda Station) using the Red Line. Our host will be providing the main food and beverages, and invites guests to bring an appetizer or light dessert “pot-luck” style if they desire. For more info and to register, go to GALA DC Alumni Social or email Bob directly at Robertdcc@Gmail.com. GALA is happy to sponsor two game watches for the very important matchup between Notre Dame and Miami on Saturday November 11th. 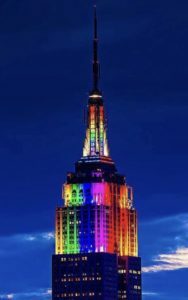 New York City – Join your Fighting Irish LGBT NYC alumni family to hear (from some of us) about what the heated rivalry was really like back in 1989 and hopefully watch ND get another W. As with previous game watches, Boxers in Chelsea (37 West 20th St) will be the venue. Kickoff is at 8:00 pm. And don’t forget to wear your ND attire! 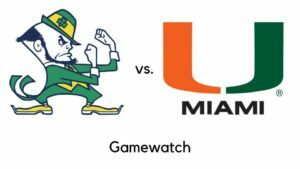 Chicago – GALA members, and LGBTQ & ally members of the ND family: Let’s catch up over a few beers and watch the Irish beat the Hurricanes! 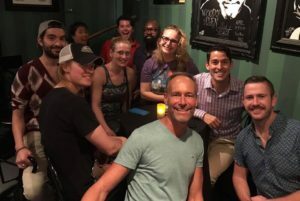 If you’ve ever wished the ND LGBTQ community had events in Chicago, you enjoy Irish football, or you just want to connect with fellow alums, come join us Saturday evening at Declan’s! Look for the table with a pride flag on it (near the back). 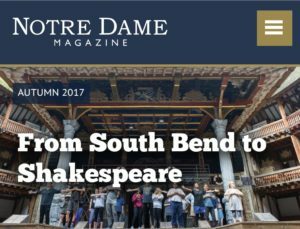 In the Autumn 2017 edition of the Notre Magazine, Liam Dacey ’04, GALA ND/SMC Board member, wrote a “letter to the editor” on the 2017 Tom Dooley Award Weekend. In the letter, Liam talks about the significance of the award in recognizing Kristen Matha and her contribution to the LGBT community. 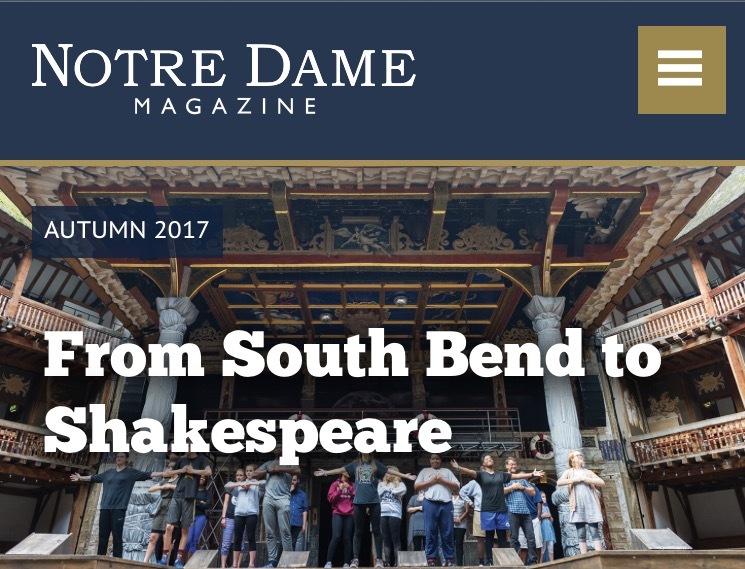 To read the full piece, go to: ND Magazine Letter To The Editor-Autumn 2017. 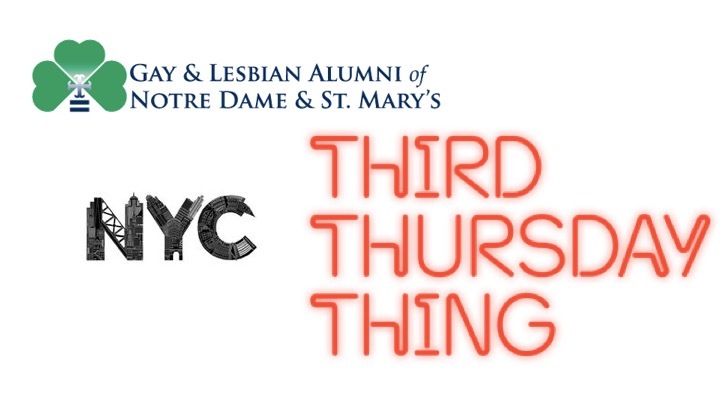 On September 24th, GALA ND/SMC held our Third Annual NYC LGBT Scholarship Fundraiser. 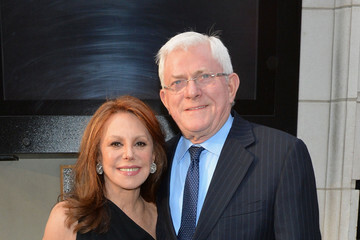 The event was hosted once again by Phil Donahue ’57 and his wife Marlo Thomas’ in their beautiful apartment overlooking Central Park. 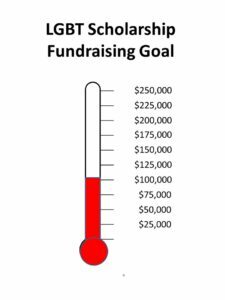 Due to the generosity of everyone attending, the Scholarship Campaign has now hit the $100,000 milestone of the targeted $250,000 endowment goal. Thanks to everyone who has donated throughout the program including members who have contributed through the “Enhanced Membership” levels. To donate, go to: LGBT Scholarship Campaign or upgrade your membership level here. On Sunday September 17th, the Mayor’s Alliance for NYC’s Animals is holding their signature pet adoption event Adoptapalooza in Union Square Park (Broadway and East 17th St). As part of GALA ND/SMC NYC Community Service Program, join other alums and friends to help make this event a success and see many of these pets be adopted by deserving families in NYC. 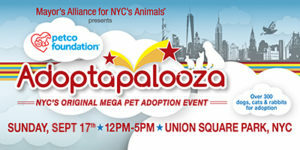 To register by Monday August 29th, go to: Adoptapalooza Community Service Event. Even if you can’t volunteer for the whole time, come for a few hours and help out. For more info, contact Martin van Koolbergen at mvan@kgmlighting.com and at 310-291-9726, or go to: Pet Adoption Volunteer Opportunity. GALA ND/SMC is pleased to announce the Third Annual NYC LGBT Student Scholarship Benefit on Sunday September 24, 2017. The benefit will take place once again at Phil Donahue ’57 and his wife Marlo Thomas’ beautiful apartment overlooking Central Park. 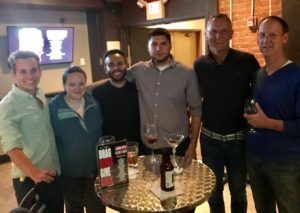 Join fellow alumni and friends for cocktails, hors d’oeuvres, and camaraderie to raise money for the student scholarship. Registration is now open. Tickets are now available for both the main event and a special VIP Reception. For more info and to register, go to: 2017 NYC Scholarship Benefit. The benefit will be part of a full weekend of activities starting Friday evening September 22th through Sunday September 24th. More info is available at 2017 NYC Alumni Fall Weekend. Plan your trip to NYC now!! 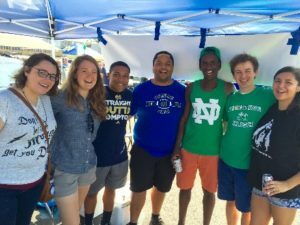 Once again GALA ND/SMC’s will be holding our annual football tailgater on campus, this year for the ND/Miami of Ohio game on September 30th. Kick-off is at 5:00pm, so the fun will begin around noon. Stop by before the game to have some beverages and game-day munchies. Last year over 30 students, alums and South Bend friends stopped by. Questions? Contact Jack Bergen at jack.bergen@yahoo.com. UPDATE: THE TAILGATER WILL BE HELD IN THE “JOYCE” PARKING LOT JUST SOUTH OF THE STADIUM. LOOK FOR THE RAINBOW BALLONS!! A small group of alums from ND & BC attended the LGBT Boston Pride Week “Pride Lights” event on Tuesday night June 6. Even though the rain moved the event inside, that didn’t deter us from having a fun time and making some new friends. 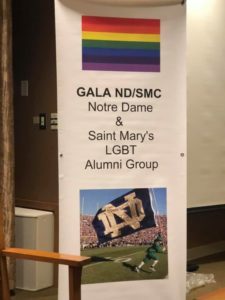 GALA hosted two panels over the Alumni Reunion Weekend, one at both Notre Dame and Saint Mary’s. At Notre Dame, the theme of the panel was Inclusion & Diversity at Notre Dame – Join The Conversation. 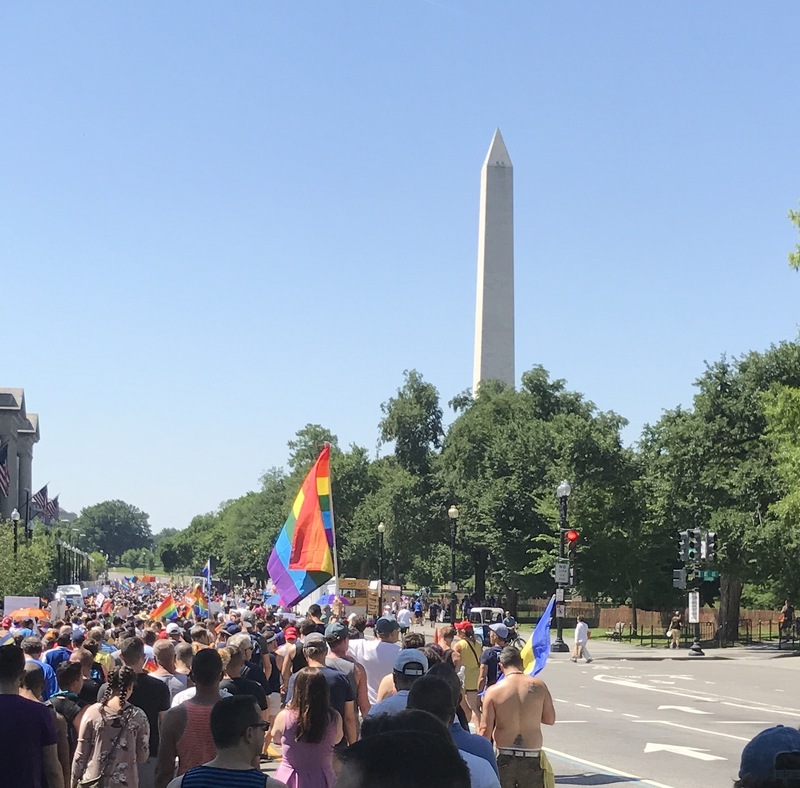 It included members of the Black, Hispanic and LGBT Alumni communities. 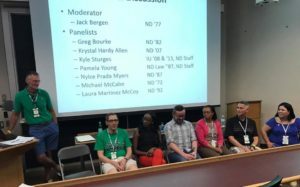 At Saint Mary’s, the panel covered The Intersection of Saint Mary’s Core Values and LGBT Life Today and featured alumnae covering a range of decades. For more pictures, go to GALA Events.